The glorious nature of a phantom-like entity, in the midst of vulnerability. How do your films come about? My work is quite often derived from a text, or it manifests as some reaction to an event – usually concerning desire. All of my work has been created in a hypomanic state of experimentation. I become obsessed with a concept or phrase and then draw out a long narrative that is meticulously researched and planned out. It’s funny though, because these longer films never fully come to fruition. Instead, I extract one scene or moment from each ‘storyboard’ which then acts as this emblematic entity to the unseen/made narrative. So now I have this archive of chaotic and drawn out chronicles that act only as source material for shorter works. Assumptions of Your Phantom(sy) was born from a longer film called Fervor Bruise. I made it when I was 18 and very much in lust. Those first stages of this experience – (when you put others on a pedestal) — where what fueled the work. The immature and hopeless-romantic side of me wanted this piece to act as a line of ciphered communication to one audience member – and that really excited me at the time. Though, now I look back on it and I see it as being derived from my love for Jaques Tati’s use of materials. The mirrors and reflective surfaces in his sets – in relation to the inward reflections of the human body and psyche – really stirred me at the time. Assumptions was created digitally in post. Its straightforward shot was not anticipated. 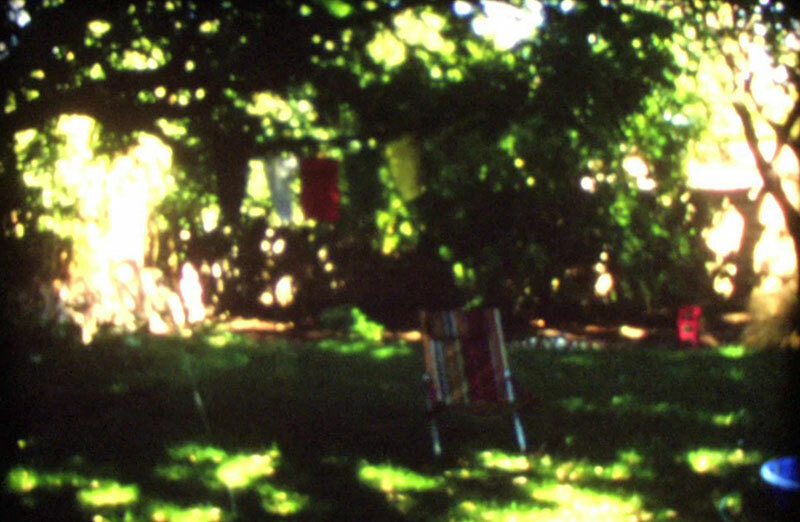 It was filmed as I was shooting the super 8 to the end of the roll – after filming a long narrative concerning the same subject matter. Is there more you want to say about your creative process with ‘film’ – which you chose to use over video? I am currently working only with camera-less filmmaking, where I print out digital videos from the internet onto film using my household printer. So there is video-work occurring, but it only performs as the source material – that essentially gets placed back onto film….as an act of putting images back on film that have been replaced with blu-ray, screened at theaters, and torrented back onto the internet. There is this immediacy with video that is nice, yet I currently strive to make it more tangible – and that is where celluloid plays a role.